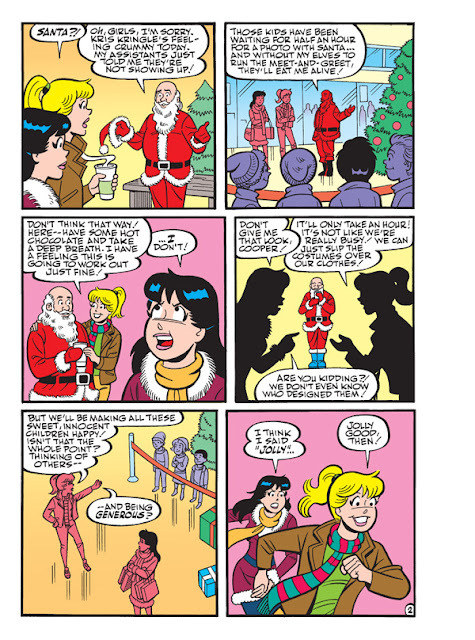 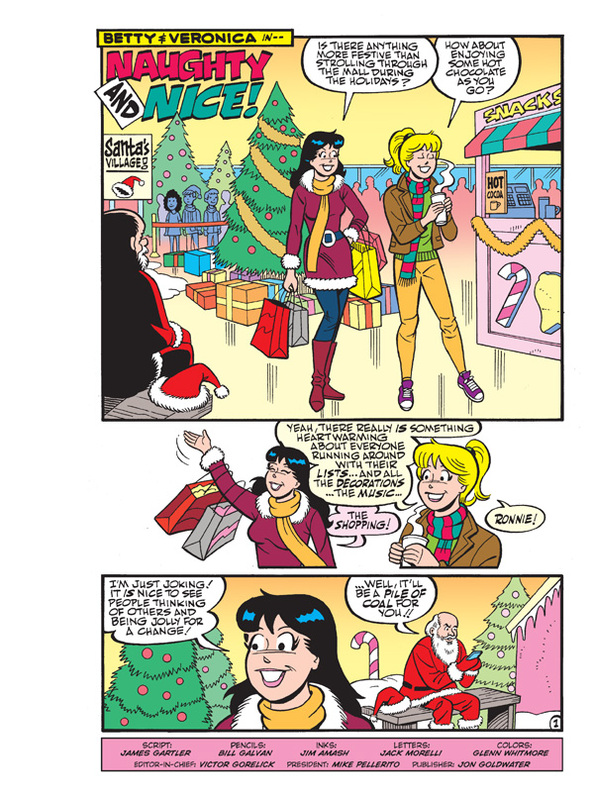 While holiday shopping, Betty and Veronica spot a store Santa who has been abandoned by his elves at the last minute—right before a “Take Your Photo with Santa” event! 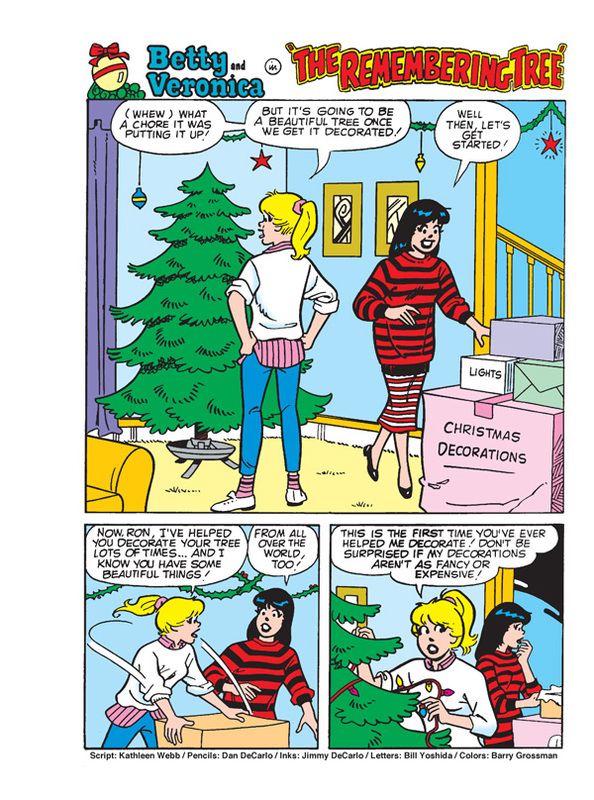 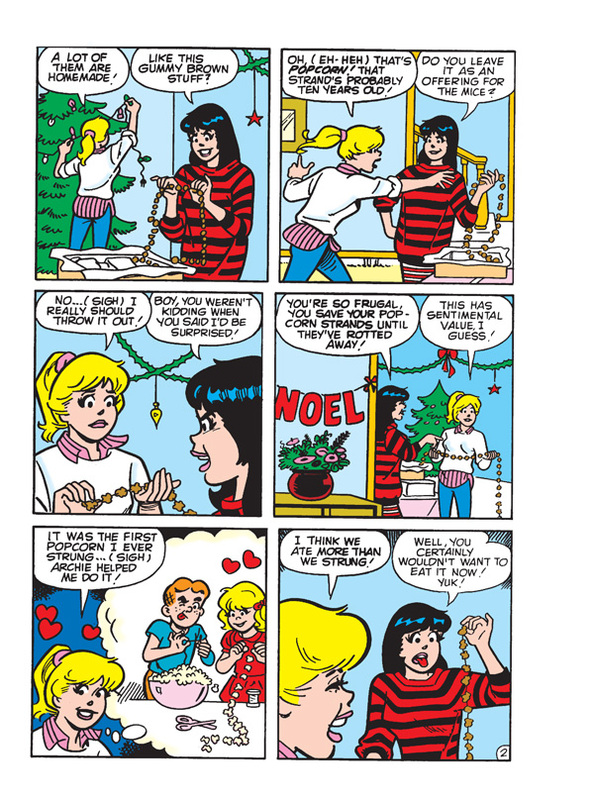 Betty convinces Veronica that they should get into the spirit and help out—but when they do, Santa’s joy turns quickly to panic as his well-meaning helpers unintentionally cause some Christmas chaos! 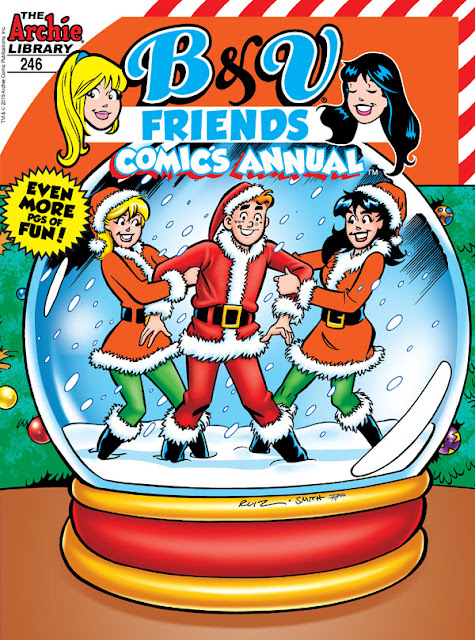 “Naughty and Nice” is a brand new hilarious holiday story you won’t want to miss—kicking off a laugh-filled comics annual featuring even more pages of fun!